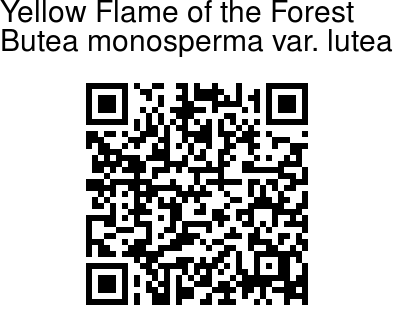 Yellow Flame of the Forest is a rare variety of the widespread Flame of the Forest. It bears elegant ivory-white flower buds and bright yellow flowers. It is taller than well-known Flame of the forest, which has	orange-scarlet flowers. 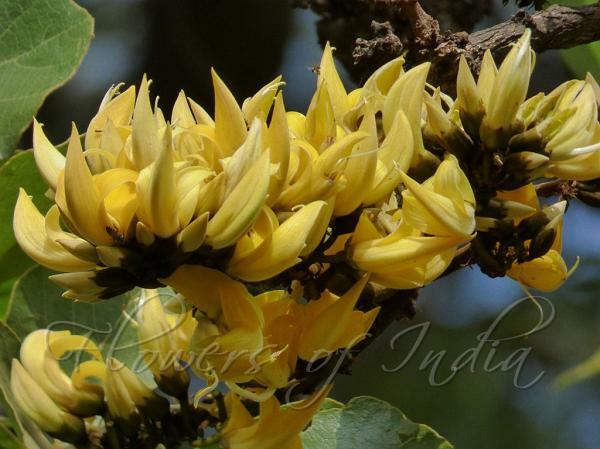 Yellow Flame of the Forest is endemic to Deccan plateau. It has very less population i.e., about only 100 individuals across the plateau. It has trifoliate leaves like its red cousin. Identification credit: Aarti Khale Photographed in Lalbagh,Bangalore.